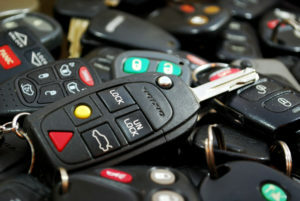 Many drivers will soon discard their keys, say global automotive executives in a KPMG report. Half of today’s car owners will dump their cars by 2025, they say, and a third of consumers agree. It may not be too long until you look around and notice fewer cars parked in driveways in your neighborhood. Less than 10 years, in fact. The number of people calling themselves car owners could be cut significantly if things play out the way auto execs believe it will. But that doesn’t mean shops will see fewer cars. Instead of owning, consumers will turn to rental services when in need of wheels. Almost 60 per cent of 1,000 industry executives across 42 countries say half of today’s car owners won’t want to own a car in 2025, according to the Global Automotive Executive Survey, compiled by accounting and advisory firm KPMG. More than a third of consumers agree with this possible future. Agreement went up as you went lower in age groups. Those aged 18-24 sat at 42 per cent, while only 19 per cent of those aged over 65 agreed. Consumers would use mobility as a service (MaaS) — car-sharing and car rentals — once they are seemingly fed up with everything that goes into driving yourself around. “This might show that the customer cannot yet let go of car ownership and will only tend towards shared economy mobility concepts (MaaS) when the cost and discomfort of a self-owned vehicle (discomfort of finding parking, traffic congestion, etc.) becomes significantly higher than the utility of car ownership,” the report said. But Peter Hatges isn’t sold on the idea. KPMG Canada’s national sector leader, automotive has his doubts that things will play out the way the executives think. The aftermarket will continue to be served by consumers who want to personalize their cars, and that will be a market to exploit. However, Hatges warned, it won’t be a shop’s bread and butter. I think the benefit is, you will be able to service a large and predictable fleet of vehicles. And that’s pretty good. That makes for good business because you’ll have an identifiable market. And price concessions also will affect technicians, pushing change on the way the industry operates. The business model could shift due to the change in the number of car owners versus car renters. “You’ll have big rental pools that are maintained on a more centralized basis,” Hatges said. Car rental companies will ask for discounts and better service if they’re supplying a shop with a fleet of vehicles. But, Hatges said, it may be something shops are willing to do in exchange for the volume of work. The vehicle manufacturers are already starting to develop their own type of rental service. I read an article about Cadillac starting a “Subscriber” service they are looking to launch and test market in New York. It works like a lease, but you are not responsible for service as that is part of the monthly fee. You can choose from a fleet of cars and get one delivered to you within 5 days. Ford and Mercedes are also looking into this as well as autonomous driver car services. The future will be very different for car ownership, that is for sure. While I agree that in the large cities this will probably be the case eventually, in rural areas and small towns I don’t see this as a viable option. Given the options of a small town or area where the population is dramatically lower than a large city I believe the car owner will be the normal situation. In the larger cities you have larger faster transit options while in small communities the options are very limited.